The Dayton City Commission unanimously approved seven ordinances and two resolutions for the Dayton Arcade redevelopment, “setting the stage for the project’s much anticipated financial close,” the Dayton Business Journal reports. The commission approved authorizing the city manager to enter into Community Reinvestment Area (CRA) tax abatement agreements with Dayton Rotunda Commerical LLC and South Arcade Commerical LLC, “providing real property tax incentives to the project in accordance with the city’s agreement with Dayton Public Schools,” according to the article. Additionally, the commission approved “the petition and supplemental plan for special energy improvement projects” and authorized the city manager to execute an $11 million loan agreement with CityWide Development Corp. Bricker & Eckler LLP served as counsel to the City of Dayton for this important redevelopment project. For more, read the full article. Senate Bill 8 (SB 8), authorizing “a nonrefundable income tax credit equal to 10% of a taxpayer’s investment” in designated Opportunity Zones in the state, passed an Ohio Senate vote 31-0, Gongwer reports. The legislation “works in conjunction with the federal Tax Cuts and Jobs Act of 2017” and addresses a specific issue not covered in that act, a release on Senate President Larry Obhof’s page states. 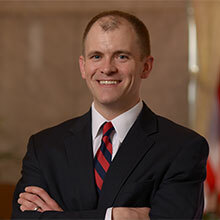 The federal law “did not specify that investments from Ohio need to be made in Ohio”; SB 8 “adds an additional Ohio tax advantage to encourage investments in an Opportunity Zone Fund that will be used exclusively in state,” according to the release. Obhof said in the release, “Senate Bill 8 will incentivize investments in these areas in order to foster new development, job creation and improved local tax revenue.” For more, read the full release. A new report from nonpartisan business group E2 shows nearly 113,000 people “are employed in Ohio’s clean energy sector,” ranking the state eighth in the country “for the number of people employed in the clean energy sector,” Cleveland Scene reports. That number reflects a 4.6-percent increase in the past year, higher than the national growth rate of 3.6 percent. E2 Executive Director Robert Keefe “says the biggest story is the 16 percent growth in clean vehicle manufacturing . . . spurred by growing consumer adoption of electric vehicle technology, state expansion of charging infrastructure, and falling battery prices.” Clean car employment increased by 9 percent, or approximately 1,300 new jobs. For more, read the full article. More than 35 new businesses “have opened up in downtown Middletown” in the past few years, including restaurants, microbreweries and distilleries, in addition to Ohio’s first Designated Outdoor Refreshment Area, the Journal-News reports. BMW Motorcycles of Greater Cincinnati is redeveloping the former Middletown Senior Center into “a regional BMW Motorcycles dealership.” The city granted a 12-year, 100 percent real property improvements tax abatement as well as a $50,000 Small Business Economic Development Job Creation Grant for the project, which includes “an investment of $1.273 million in construction and upgrades” and will create 12 new full-time jobs. For more, read the full article. The Ohio Power Siting Board (OPSB) “has rescheduled the adjudicatory hearing regarding Republic Wind LLC’s application” to construct the proposed 200-megawatt Republic Wind Farm in Seneca and Sandusky counties, The Advertiser-Tribune reports. The hearing will be held June 3, 2019 at 10:00 a.m. The OPSB rescheduled the hearing “in response to a motion filed by a group of local residents, who are a party to the case,” according to the article. The purpose of the adjudicatory hearing “is to allow formal parties to the case to present prefiled testimony and evidence, and to cross-examine other parties’ witnesses.” For more, read the full article. 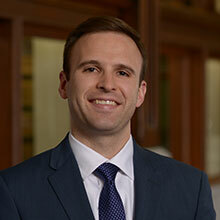 On April 4, 2019, Bricker & Eckler attorney Caleb Bell will moderate a PACENation Summit panel discussion entitled, “C-PACE Project From Start to Finish.” Participants will dig into the details of a C-PACE project from multiple angles: origination, administration, financing and more. For additional information, visit the event page.